The DMCBT Bluetooth Player provides wireless streaming capability from smart phones and other blue tooth-enabled devices. 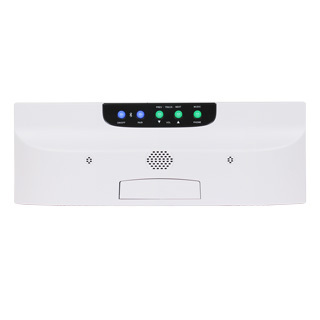 It also functions as a speakerphone for a smart phone, allowing homeowners to take calls and have conversations on the DMCBT because of its two microphones and a speaker on the front. When calls are taken on the DMCBT, music distribution through the rest of the system is muted until the conversation ends. Phone calls can only be conducted on the DMCBT, not any other component of the system. The DMCBT also includes a 3.5mm audio jack to play music through and a USB-A charging port with a dock to house the smartphone while it is plugged in. The DMCBT mounts in the bottom of the DMC1HC combination housing. 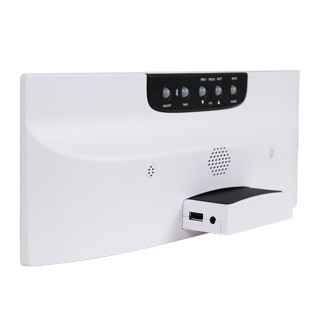 It is only compatible with the M&S DMC1 and DMC3-4 intercom systems. 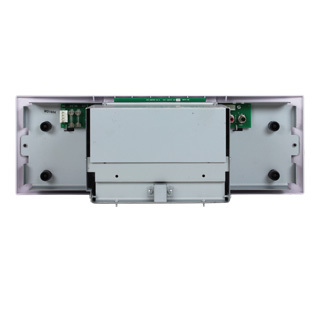 The DMCBT can replace the DMC1CD CD player, DMC1MM multi-media player and the DMCMP3 CD/MP3 player. Please contact our friendly experts if you have any questions. Does this replace the existing system or does it mount below it? It depends upon what your replacing or mounting below. If there is an exiting DMC3-4 or DMC1 model with a CD or MP3 player, then this system would replace the CD or MP3 player. If there is only the master station installed (the DMC3-4 or the DMC1 only) then the new DMCBT would mount below. This would require a new master housing DMC1HC and a combination frame DMC1F. Id the current master in anything other then a DMC3-4, DMC1, or MC602 then the entire system would be required to be replaced. , to be connected to one of our friendly experts. Let us help insure that you get the right system.